Last fall the Big Guy and I visited Walt Disney World (Florida). We decided to visit Disney one more time before we moved back out-of-state. 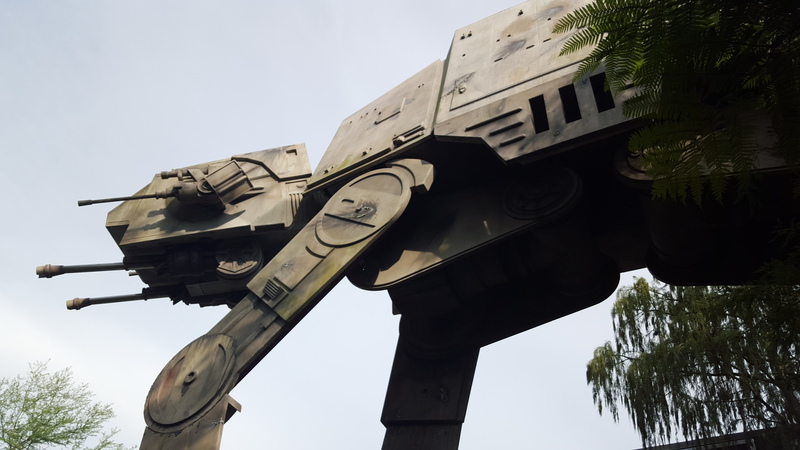 In Disney’s Hollywood Studio there is a life-size At-At located near the Star Tours ride. I took this with the camera on my Samsung Galaxy S6. Great photo, I would love to see a life size At-At. I loved the new Star Wars – The Force Awakens. We went as a family to see it twice. TFA was cool. Planning to go see it again at the drive in. Disney is buildings a new Star wars land. Very nice and funny too!